Circle Craft Christmas Market returns to the Vancouver Convention Centre West on November 11 thru 15, 2015 with over 300 exhibitors from across Canada. In addition to all the talented crafters, artisans and designers that will be at the shop, there are reasons for a gourmand to go as well. Here are the ones that are most exciting to me and why! I'm a little ashamed to admit I'm a total shortbread connoisseur (or snob call it what you will). It's perfect with a cup of tea. It's so simple everyone thinks they can make it but few can balance the delicate flavours and still ensure a tender buttery crumb. Carl Stryg is a master of shortbread. I would walk 1000 miles for his Gorgonzola and Pistachio shortbread! My plan is to get six of them and hope no one looks my way too funny. Some of them are "gifts" ok? Go early because they don't come every year and those 'in the know' buy huge amounts. Every year I walk up to Jean-Pierre Cote, look him in the eye and say.... "SHUT UP AND TAKE MY MONEY!" I pick up two packages of vanilla beans which I use to make my own cold pressed vanilla extract (Quick Recipe: In a big mason jar, combine a bottle of the highest proof vodka you can get your hands on with a package of Maison Cote vanilla beans). All my baking is done with this vanilla extract as it is easy, cheap and crazy potent. A little trick Jean-Pierre shared with me himself. For foodie friends, I pick up salt blends or spice rubs (The spicy cowboy rub and the porcini and black truffle salt called 'forestiere' are household favs. ), or the two fold vanilla bean paste. Excellent christmas gifts that will spread the Maison Cote fever. It's good stuff. Each jar contains unprocessed honey harvested from ethically managed hives from Vancouver and the Lower Mainland. 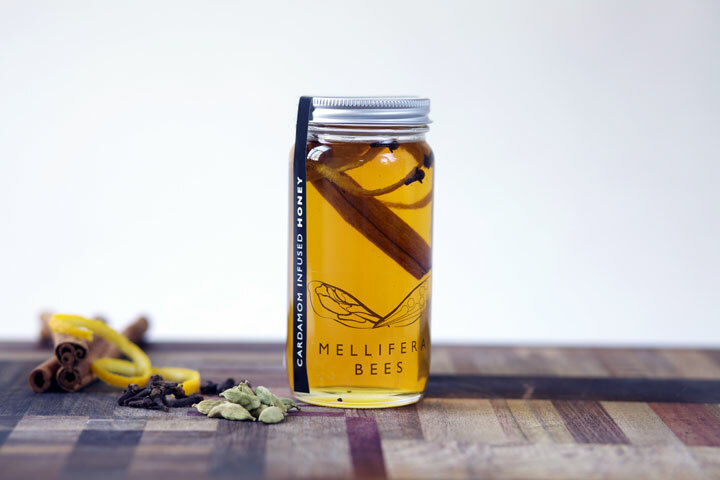 Try the the infused honeys in cardamom, vanilla or lemon drizzled over warm, fresh, buttered bread. Always a winner at parties, the garlic and olive oil goat cheese is a crowd pleaser for holiday parties, and the flower cheese is a showpiece for a tea party. The cheese is cheapest at this market especially if you buy in multiples. Before you go to the market, save $2 by purchasing your tickets online before November 11. TICKET GIVE AWAY: We have a pair of tickets to give away courtesy of Circle Craft Christmas Market. All you have to do is share which of the 300 exhibitors you are excited to see in comments! Winner will be drawn at noon on Thursday November 5, 2015. Good luck!